Comments: DVD-R1 from OOP VHS. 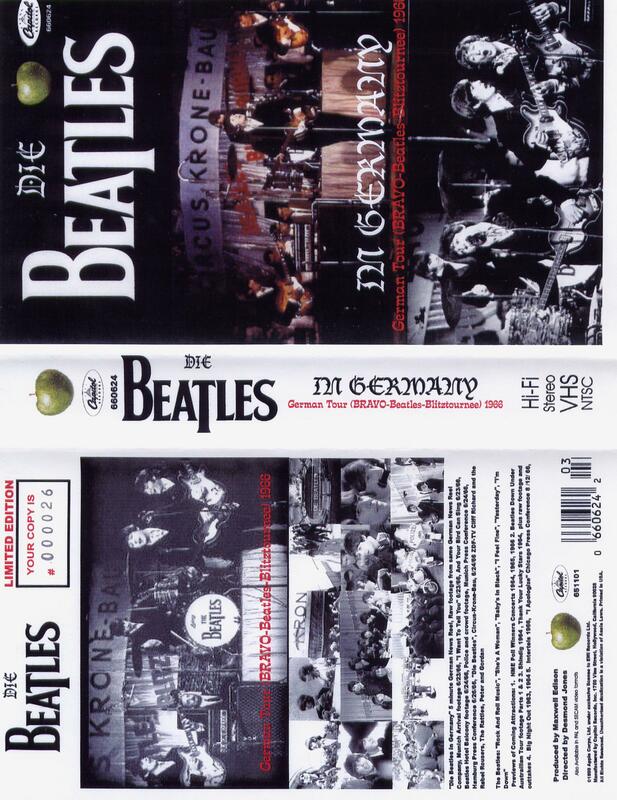 Of the many older video programs of the live Beatles circulating these days, this one is one of the most entertaining. 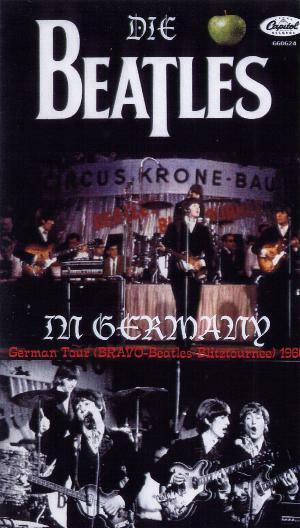 Despite opening with some disjointed footage – with German narration – of the Fabs’ press conferences in Germany during their 1966 tour, it’s the footage of the complete actual concert that’s truly fun – and not because of the Beatles. The opening acts, German pop/rock outfits, are remarkably hot acts. They are far edgier and tougher than the headliners, showing muscle and confidence given the act they were opening for. The last one almost looks like an act that would be successful today. The Beatles, as is seen in most 1966 performances, give a solid, if lackluster, performance. While not as weary as their later dates, it’s clear they have lost much of their enthusiasm for this form of live performance. Quality of the concert footage is very good. Rounding out the disc are clips from the British New Musical Express Pollwinners concert – historically useful, but annoying to watch given the choppy editing.